Weekend mornings are my favorite. I love being able to wake up, spend time with my hubby and kids, and enjoy a cup of coffee with a sweet treat. Cinnamon rolls are my all-time favorite breakfast treat, and while I prefer homemade, I dislike how time-consuming they are. I’d rather spend more time with my family and make semi-homemade ones. They may not be as good, but they sure come close! This past weekend I was realllly craving a gooey cinnamon roll, but we didn’t have any on hand. 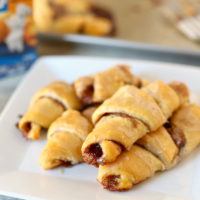 I remembered that we had a two-pack of Pillsbury Crescent Rolls in the fridge, which by the way, are a great addition to just about any meal, and that got me thinking that they would be perfect for making cinnamon rolls. After a little trial and error, I came up with a recipe that I think you’re going to love. To make them, all you need is one can of Pillsbury Crescent Rolls, butter, sugar, cinnamon, powdered sugar and milk/cream. In about 20 minutes, you’ll have a delicious treat that you can serve for breakfast, brunch or even dessert. 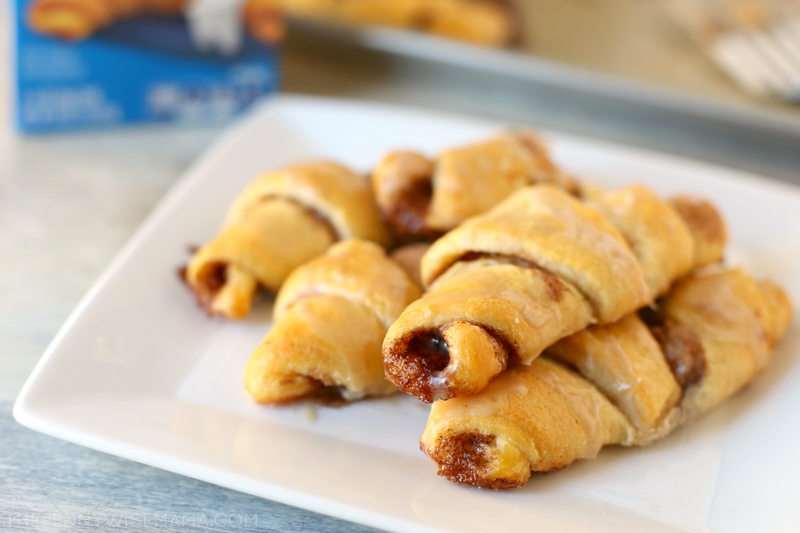 With the holidays right around the corner, these Cinnamon Crescent Rolls will save you time in the kitchen. They are perfect for parties, get-togethers or lazy mornings spent with family. Enjoy! In a small bowl, combine butter, sugar and cinnamon. Stir well to combine and set aside. Unwrap crescent rolls and separate into 8 triangles. Place on an ungreased rimmed baking sheet. 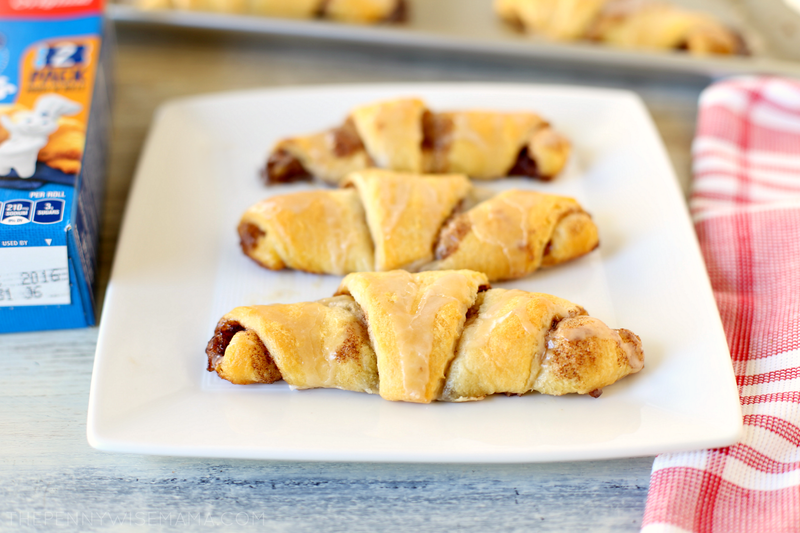 Spread cinnamon sugar butter evenly over each triangle. Roll up starting with the wider end (like you normally do with crescent rolls) and place tip-side down at least one inch apart. Bake 15-18 minutes or until rolls are golden brown. While rolls are baking, prepare glaze by combining powdered sugar, milk/cream, and vanilla in a bowl and mixing until smooth. Remove rolls from oven and allow to cool for 2-3 mins before drizzling glaze over the top of each. If you are short on time, you can bake the rolls at 375°F for 9-10 minutes. You can find the Pillsbury Original Crescent Rolls Twin Pack at Walmart in the refrigerated section near the butter and juice. I love picking up a box when I do my grocery shopping to have on hand for dinners throughout the week. 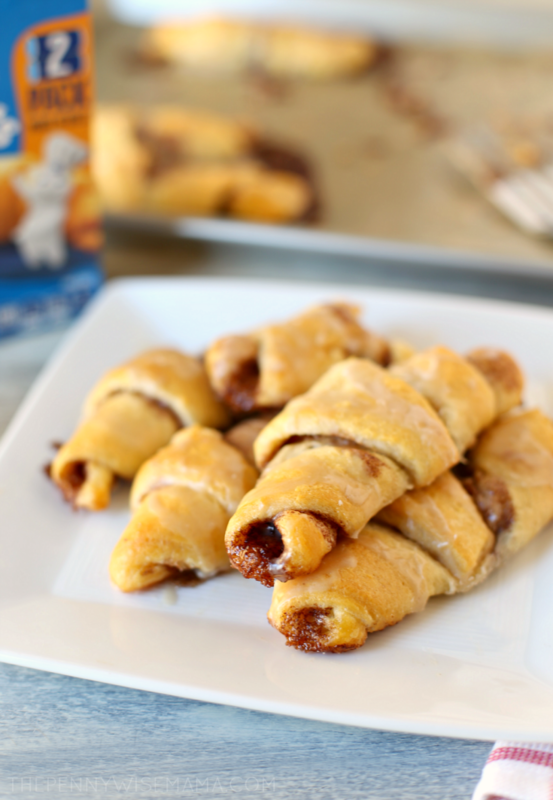 The nice thing is with two cans, you can set one aside for dinner and one for these yummy Cinnamon Crescent Rolls! Holy yum! 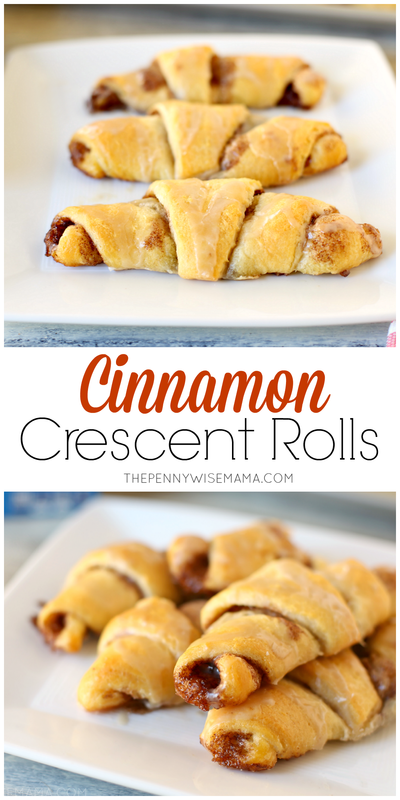 I have always been a huge fan of anything with dough and cinnamon 😉 These are great and I am pinning to try later! I am definitely going to make these. 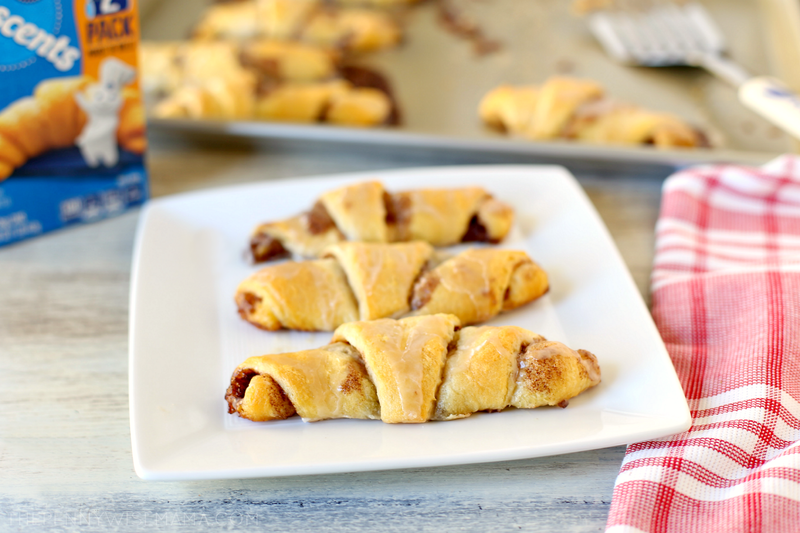 I love crescent rolls, they are so versatile. These look really yummy and I think my son would really enjoy helping me make them. Wow these look delicious! This would be a big hit in my house. My grandsons would love it! Cinnamon really helps tame my T2 diabetes.